I.M. Vijayan is busy these days. After a brief gap, he has again donned the role of a coach but this time it is for the Kerala Police Football Academy. With the formal inauguration of the academy held at Thrissur on Tuesday, the former Indian star is confident that the cops will again hog the limelight in the country as it was in its golden years. “At present, we are giving training to about 450 kids around the police ground’s 10 km radius. We have divided them into two groups of age group between 7 to 12 and 12 to 14,” says Vijayan, the chief coach of the academy. The players have been taking part in the camp for the past one month and selected students from the camp will be given chance to attend the police academy. “We will announce the players list shortlisted for academy soon. The turnout was enormous and we did not expect such a large number of students would come,” he says. 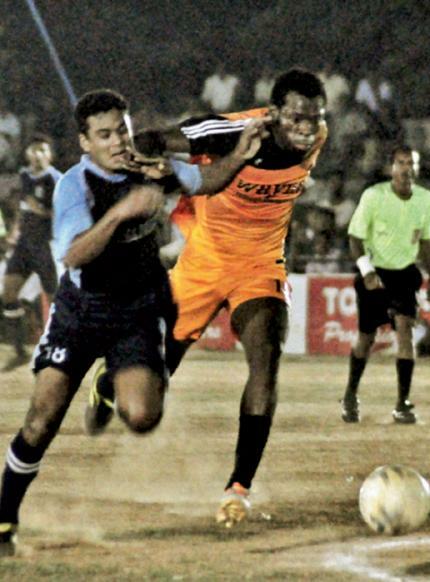 The academy was the brainchild of Thrissur City Police Commissioner P. Vijayan and other football-loving cops at Thrissur. “The idea is an excellent one as what most of the players lacked before is grassroots level development. The police department has bright plans for the future of the academy. Soon, we will try to have a sports hostel and a good training facility. We want this to be a professional set-up,” says the former Indian striker. “We will ensure the students selected to the academy will get quality coaching. Former Indian internationals Jo Paul Ancheri and C.V. Pappachan have agreed to associate with the academy. We are looking for others also,” says Vijayan. However, Vijayan says, it would take at least four years before all these plans can materialise. Besides, in future, the academy can also serve as a feeder to its main team, he said.